The Kansas chapter of the American Civil Liberties Union on Thursday asked state officials to investigate after a black man was detained by police while moving into his home, then allegedly harassed for weeks and blocked by the police chief from filing a racial bias complaint with the department. 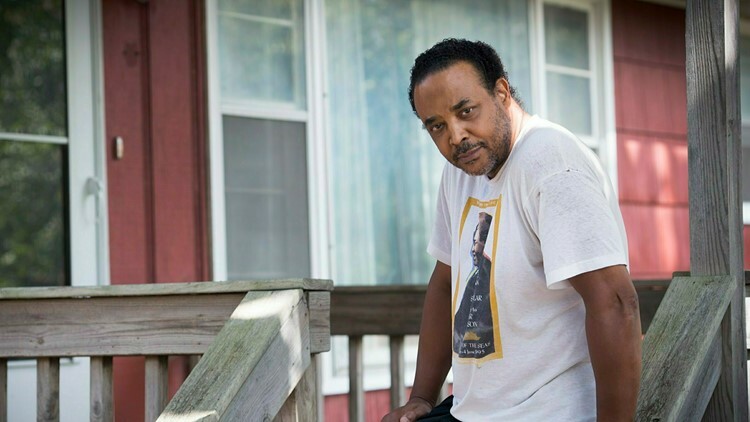 Karle Robinson, a 61-year-old Marine veteran, was held at gunpoint and handcuffed in August as he was carrying a television out of a rented moving van into the home he had bought a month earlier in Tonganoxie, about 30 miles west of Kansas City. "I'd like to see those cops and that chief lose their jobs because this was uncalled for — this is strictly racial profiling," Robinson told The Associated Press in an interview Thursday. He added that if he were white "we wouldn't even be having this conversation right now." The ACLU of Kansas said in a news release that it was a case of "moving while black" and that the organization asked Kansas Attorney General Derek Schmidt to investigate the matter or refer the group's complaint to the Kansas Commission on Peace Officers' Standards and Training. The attorney general's office said in an emailed statement that it has reviewed the ACLU's letter and forwarded it to the commission in accordance with Kansas law. "Mr. Robinson believes his detention was motivated by his race rather than a reasonable suspicion that he was committing a burglary," Lauren Bonds, legal director of the ACLU of Kansas, said in the group's release. "It also appears that the Chief of Police prevented Mr. Robinson from filing a credible, legitimate complaint and that is not in compliance with reporting and intake standards. He must not interfere with citizens registering complaints." The incident involving Robinson is one of the latest examples of situations in which law enforcement officers have had encounters or confrontations with African-Americans over their own belongings. In the Chicago suburb of Evanston, Illinois, city officials approved a $1.25 million settlement with a black man who sued after police tackled him and arrested him for stealing a car that turned out to be his own. Tonganoxie Police Chief Greg Lawson said in an emailed statement that the department has fully cooperated with Robinson and the ACLU regarding inquiries into the incident. "We believe that the ACLU's correspondence to the Attorney General's Office contains multiple accusations that are inaccurate," Lawson said, without elaborating. He added that the department will cooperate with the attorney general or commission "if an investigation is deemed warranted." The chief said the safety of people who live in the town and those visiting it is important to the department, and the officers and other staff have all "pledged to serve the community with honor and the highest degree of professionalism." The town of 5,400 in northeastern Kansas is 97 percent white, census figures show. In a letter dated Thursday to the attorney general's office, the ACLU said police had also stopped Robinson hours earlier while he was driving to the home and gave him a warning citation. Robinson and the ACLU say it was for not having the rental van's headlights turned on. According to the letter, Robinson arrived at the home shortly after midnight on Aug. 19 and made numerous trips in and out of the house carrying items from the moving van parked outside. Robinson contends an officer passed his house five or six times over the course of two hours. Around 2:30 a.m. as he was carrying in his TV, the last item out of the moving van, Robinson was approached by an officer who pulled into the driveway. During the incident, which was captured on police body camera, the officer drew his gun and told Robinson to put down the TV. "I just bought this house," said Robinson, who followed the officer's order about the TV. "You just bought this house and you're moving in at 4 in the morning?" the officer said. Robinson told the officer he had paperwork inside the home that would prove he was the owner. The officer asked Robinson to walk toward the house and put his hands on his head. He then handcuffed Robinson. Once backup arrived, the officer and a second officer entered the home, brought out the paperwork and took the handcuffs off Robinson. The officers helped Robinson carry the TV in the house after he asked them to. Police told Robinson there had been a string of burglaries in the area. An officer can be heard on the body camera video apologizing to Robinson and saying, "If you look at the situation, I think, I think you get it." The officers thanked Robinson for his cooperation. Robinson, who is retired and volunteers as a radio DJ at a Kansas City radio station, told the AP on Thursday that he considered it "a half-hearted apology." "But I mean, that is not the point. It shouldn't have happened in the first place," he said. The ACLU contends that public records show no reported burglaries in the area. And for weeks after the incident, according to Robinson, Tonganoxie police frequently patrolled around his block, parked their squad cars directly across the street almost every evening and on one occasion followed him from his home for more than 7 miles (11 kilometers) until he reached the highway. He claimed that Lawson, the police chief, also stopped him in October from filing a racial bias complaint about the Aug. 19 incident and the police presence afterward, which Robinson said amounted to surveillance. He said the harassment stopped after he complained to The Kansas City Star. "Each of these incidents would be concerning had they been alleged independently," the ACLU said in the letter to the attorney general's office. "Together, they suggest a pervasive culture of racial bias and systemic process failure within the Tonganoxie Police Department."